From afar, Hong Seon Jang’s sculptural cityscapes look like models from a city planner’s office. But upon closer inspection, we can see that each rising building and skyscraper is capped with a letter of the alphabet! 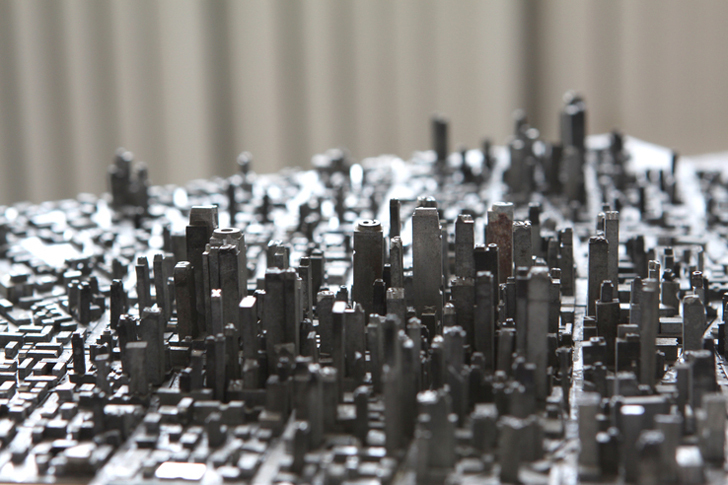 The mini metropolises are in fact meticulously arranged conglomerations of disused typesets. We wouldn’t say this is the best way to use type, but it’s better than ending up in a landfill or melted down!